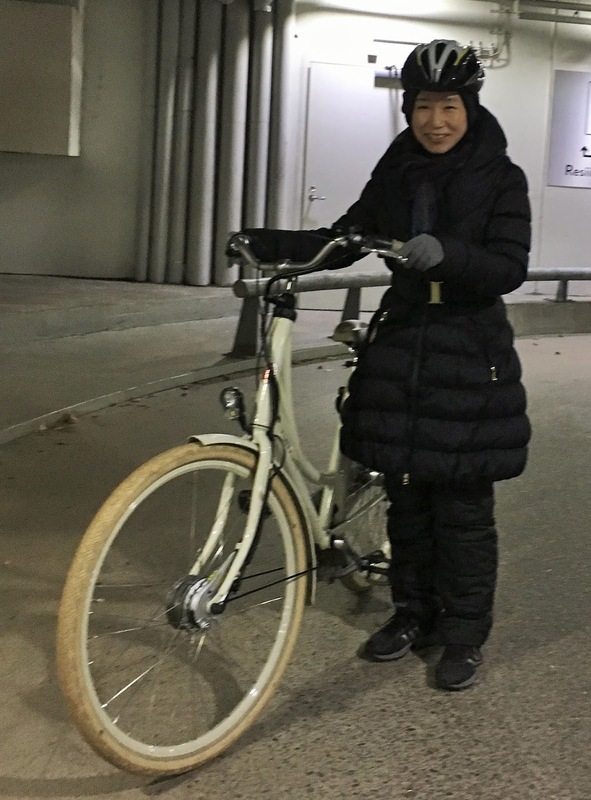 Elisan Yoojin Cho testasi sähköpyörää työmatkoillaan parin viikon ajan. Kokemus oli positiivinen, mutta kiireisinä aamuina ja sadesäällä autoon hyppääminen tuntui helpommalta vaihtoehdolta. Overall I feel positive about the experience. It was nice to bicycle especially uphills without sweating too much. 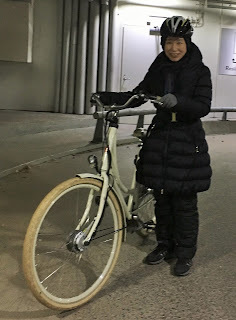 Now I am much more confident about commuting by e-bike, which I have been just thinking and wondering about for a long time. I will definitely check out some e-bike models to buy next spring. On the other hand, the travel time did not decrease that much, compared to using other means (car, buses). So when I was in hurry to work during the first week of trial, I had to resort to car many times. Rainy weather also somehow forced me to take car, since I was not so comfortable with the new bike and especially the pedal break. My excuse here is that I could have used the bike more often if the pilot was done in spring. Hankkeen toteuttaa HSL:n tuella Valpastin Oy. Seuraa somessa: #uusityömatka ja #elisalainen! Kokemus oli kaikin puolin positiivinen!